Allnet Air is a top partner with the industry’s best telecom companies. As a superior managed service provider, Allnet Air is always searching for partnerships with leading vendors. With over 38 years experience, we’ve developed strong relationships with the industry’s best mobile service providers. From smarter wireless plans to superior cost controls and insight reports, Allnet strives to provide the smartest and most affordable solutions to every customer. We’ve managed partnerships with some of the most powerful industry leaders to ensure that this mission is served every day. Allnet’s vendor relationships extend far beyond mobility support. As an Authorized partner of AT&T, we continue to serve customers with optimal wireless solutions that generate greater bottom-line results. We offer organizations an affordable, enterprise-level customized plan that includes real-time optimizations and significant data capacity. As an official AT&T Partner Exchange Member, you can count on Allnet Air to help streamline the success of your business. Allnet Air is a partner with the best telecom vendors. Consider a strategic relationship with the top managed mobility service partner. Over the years, Allnet Air has secured partnerships with some of the most notable telecom companies. Our strategic relations help organizations save money and make better mobility decisions. With these partnerships, you can expect a managed mobility service with optimized reports, flexible support, and an effective guide to success. 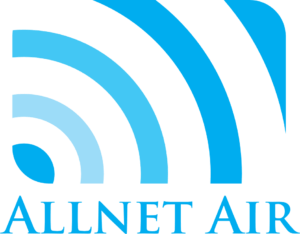 Interested in partnering with Allnet Air? Let’s talk strategy.